E hoje estarei fazendo um set bacanudo no OCIDENTE! Segue o release da festa. Sexta-feira dia 06 de Janeiro às 22h! ~ SUMMER ~ Calvin Harris mandou avisar que não vai deixar ninguém parado na pista. 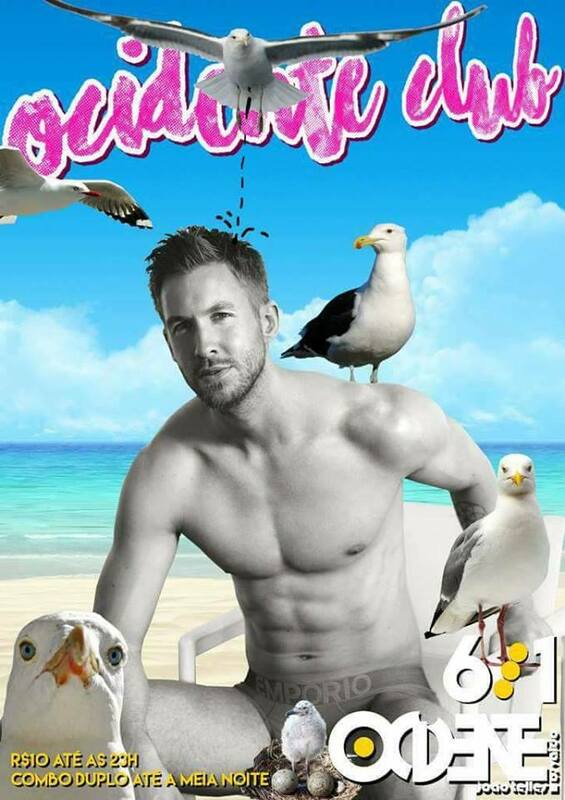 Calvin Harris ✗ Iggy Azalea ✗ Pabllo Vittar ✗ Rihanna ✗ Fergie ✗ Selena Gomez ✗ Justin Timberlake ✗ Ariana Grande ✗ Pussycat Dolls ✗ Michael Jackson ✗ Backstreet Boys ✗ Enrique Iglesias ✗ Gwen Stafani ✗ Flo rida ✗ Kylie Minogue ✗ M.I.A. ✗ Shakira ✗ Nicki Minaj ✗ David Guetta ✗ Alesso ✗ Fifth Harmony ✗ Meghan Trainor ✗ Maroon 5 ✗ Katy Perry ✗ Lana Del Rey ✗ Prince ✗ Lady Gaga ✗ Icona Pop ✗ Beyonce ✗ Valesca ✗ Britney Spears ✗ Drake ✗ Demi Lovato ✗ Justin Bieber ✗ Taylor Swift ✗ RuPaul ✗ Madonna ✗ Rihanna ✗ Phoenix ✗ Fergie ✗ Mapei ✗ Galantis ✗ The Weeknd ✗ Ed Sheeran ✗ Jason Derulo ✗ Major Lazer ✗ Daft Punk ✗ Avicii ✗ Magic e muito mais.